WARM hearted individuals are being asked to help keep the residents of an Annandale animal sanctuary out of the cold this winter. From pigs to cattle, bunnies to horses and even emus and a llama, Mossburn Community Farm at Hightae is home to nearly 100 creatures. Originally set up in 1987 to provide help for misused, abused, unwanted and neglected horses and ponies, as well as young people with physical and mental problems, the farm is now home to 14 different species. And with temperatures set to drop in the next few weeks, it is of paramount importance that all the animals are kept warm and snug. 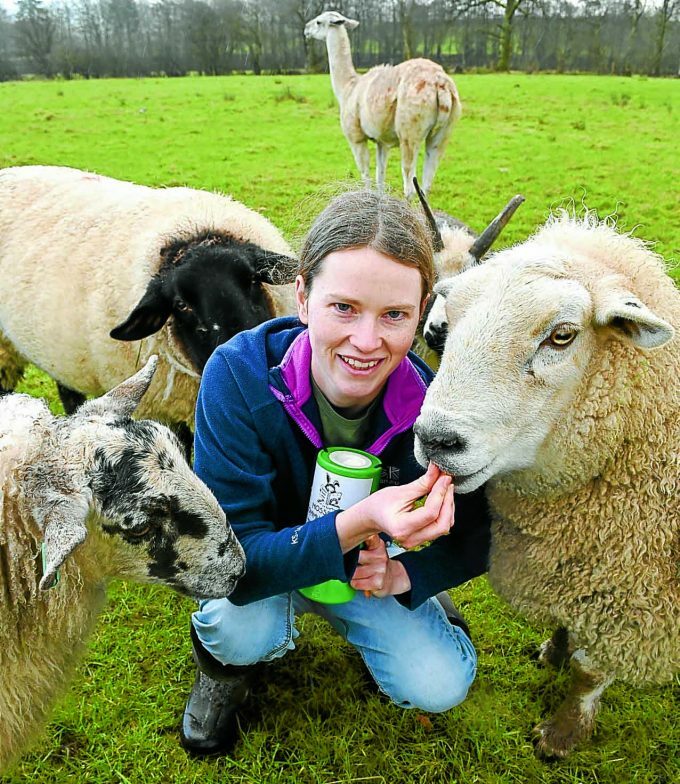 But with running costs of £60,000 a year, the team at Mossburn have this week launched an appeal for donations to help keep the 95 animals at the farm cosy and cared for. Yard manager Siobhan Webster said: “We don’t like to do these appeals often but we would really appreciate some help with funding our hay and haylage deliveries to keep our animals happy over the next few months. “We have had many large bills recently, including increased hard feed for the winter period and veterinary bills, which will include this week’s vaccinations of 11 horses and eight rabbits. She added: “Our yearly running costs are roughly £60,000. We often have to turn animals away because we are full, especially during winter when we need to consider the needs and increased costs of our existing animals first. The farm’s founder Juanita Wilson added: “We are about 95 per cent volunteer run and unfortunately, since the council chose to withdraw funding last year, our hard pushed staff are also still continuing to help with the volunteers here who have special needs.